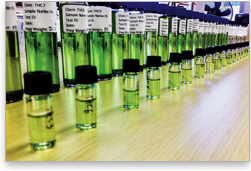 SPEX SamplePrep is an industry leader in Sample Preparation products for the Cannabis and Hemp Industry. Our Homogenizers, Grinders and Cryogenic Mills provide reliable, reproducible results with no cross contamination. We have the expertise and equipment to help startups and established labs. We understand the challenges in the cannabis and hemp industry. Testing the potency and contamination in cannabis and hemp products is critical. Our equipment helps labs apply the preventative measures that protect consumers and patients seeking safe and effective products or medication. To see how the Geno/Grinder and Freezer/Mill are used at a leading testing lab click here to watch the video. Our Freezer/Mills are programmable cryogenic laboratory mills that cool samples to cryogenic temperatures, then pulverize them by magnetically shuttling a steel impactor back and forth against two stationary endplugs. 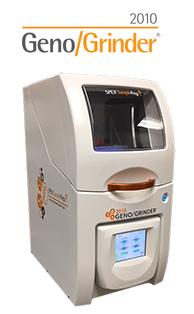 The 2010 Geno/Grinder® is a high-throughput homogenizer designed for effective cell disruption, lysis and tissue homogenization. It can be used with any brand Pesticide and DNA extraction kits. It processes cannabis plant tissue, buds and edible products. 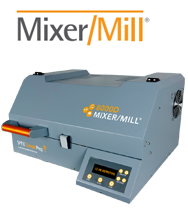 The SPEX SamplePrep 8000-series and 5100 Mixer/Mills are laboratory mills that pulverize small amounts of dry, brittle samples to analytical fineness. The vial, containing the sample and one or more grinding balls, is shaken in a figure-8 movement. This poster utilizes the advantages of the QuEChERS (acronym for Quick, Easy, Cheap, Effective, Rugged, and Safe) to extract 35 pesticides and 3 cannabinoids, including tetrahydrocannabinol (THC), cannabidiol (CBD), and cannabinol (CBN), in edibles and seized marijuana, followed by either serial dilutions for cannabis potency analysis, or a dispersive solid phase extraction (dSPE) cleanup for pesticide residue analysis. This application utilizes the advantages of the QuEChERS technique to extract cannabinoids in marijuana and cannabis containing foods. This is followed by either a dilution for marijuana samples or a solid phase extraction (SPE) cleanup for various complex food samples. This method results in clean extracts for instrumental detection. SPEX CertiPrep offers Certified Reference Materials (CRMs) for all of the common contaminants found in medicinal and recreational Cannabis, including pesticide residues, residual solvents, terpenes, among others. All of our CRMs come backed with our ISO Guide 34, ISO 17025 and ISO 9001 certifications and accreditations, guaranteeing the product you purchase is measured to the highest industry standards available. SPEX SamplePrep does not support or promote the use of its products or services in connection with illegal use, cultivation or trade of cannabis products. 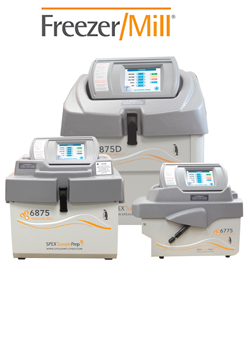 SPEX SamplePrep products are intended to be used for state approved research or testing only.